Cruise the open roads and enjoy peace of mind that you have motorcycle insurance in Brentwood, CA behind you. Whether you ride a street bike, touring bike, cruiser or custom chopper, your motorcycle is synonymous with two things: freedom and adventure. You enjoy the freedom and excitement of the open road and long for adventure that it brings. But with a motorcycle comes responsibility and uncertainty. You may not know what’s round the bend, but the right motorcycle insurance in Brentwood, CA can ensure you are prepared for it all. Even if you already have an insurance policy on your car, truck, van or SUV, it will not cover your motorcycle and the journeys you do on your bike. California law requires you to purchase liability insurance that is tailored specifically to your motorcycle. In short, if you ride and own a motorcycle, you need specific motorcycle insurance. What Does Motorcycle Insurance in Brentwood, CA Cover? Bodily injury and property damage liability covers you if you are at fault for an accident that injures someone or damages a person’s property. Liability coverage can also be obtained for guest passengers, meaning anyone riding pillion is covered, too. This part of your policy covers the cost of medical care that is the result of a motorcycle accident, regardless of who is at fault. Comprehensive and collision coverage help to pay to repair or replace your motorcycle if it’s stolen or damaged in an accident. This coverage typically pays for expenses associated with injury or death from an accident caused by an underinsured or uninsured driver. It also covers you if you are the victim of a hit-and-run accident. Breaking down in the middle of nowhere is no fun. Roadside assistance coverage means that towing and assistance are covered in the event of a breakdown. This ensures you get back up and on the road as soon as possible. Never hop on your bike without adequate coverage in place. While you may think that nothing will happen, and we hope that it doesn’t, you should always be prepared for the unexpected. A motorcycle policy can ensure you cruise the roads worry-free. Jack Stone Insurance Agency is here to make sure you are properly covered if you get into an accident. 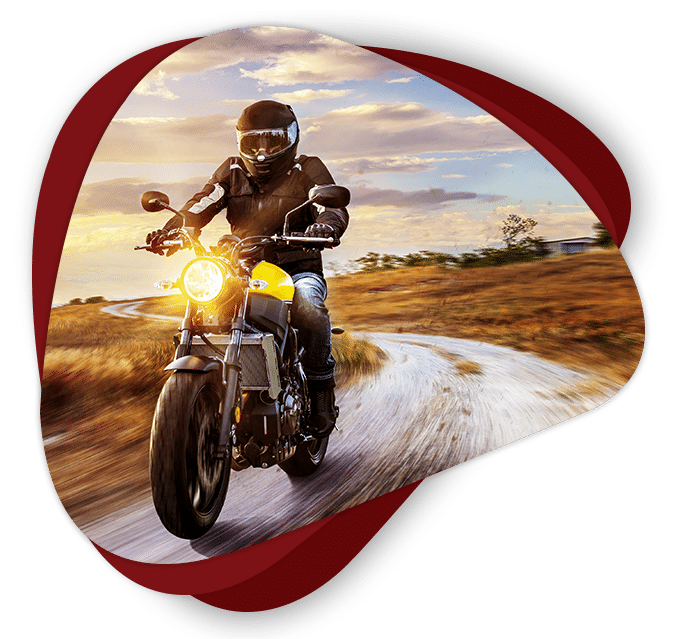 We understand how treacherous the Golden State roads can be, and we are the motorcycle experts that can help you find the right motorcycle insurance in Brentwood, CA.